Happy New Year with Old Navy! Old Navy (through Crowdtap) was good to me in 2012. Just before Christmas, I got another go to try out the active wear. I love active wear. Especially from Old Navy! I’m a yoga teacher in my spare time, and it is really fun to go in dressed the part in something that fits and moves with me. I love the colors of their new tops, and I picked up a gray pair of pants. Then it makes me wonder why it has taken me so long to get a pair of charcoal pants for yoga. I have black pants. So it is good to branch out a bit. 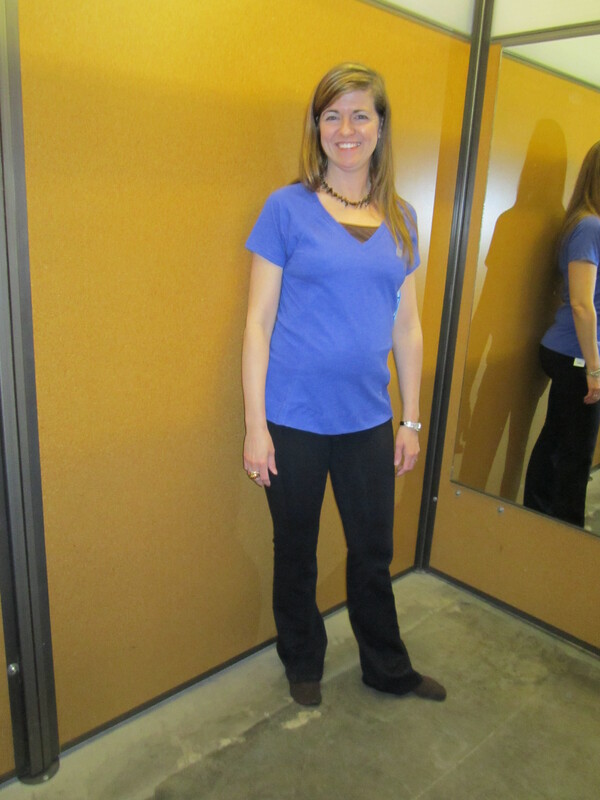 My sister-in-law went with me, and she got a blue shirt and black pants. I haven’t talked her into joining me for a yoga class yet, but now she’ll be dressed for the part. I’m excited to start the new year with new things to wear to my new yoga class! I’m going to post again soon about my new resolutions and what I’m expecting to accomplish with writing and yoga and all the other things I’m going to attempt.